The Free-for-All Yoga Classes were run from September 22, 2012 to June 26, 2016 and had a total of 138 classes. There are no more free yoga classes at the park to give way to my current advocacy in teaching at Ruhama Center, a shelter for sexually-abused teenagers. Below is the content of the page as it appeared when the classes were still active. This calendar is updated real-time. In case of rain, Free-For-All Yoga will be cancelled. Self-practice is encouraged! Reservations not required. Just show up at Legazpi Active Park. Classes start and end on time. Please set up your mat 5 minutes before class begins. Q: Why is this event called Free-for-All? A: The event is called Free-for-All because there is no monetary payment to attend the class. Anyone and everyone is welcome- be they long-time practitioners or completely new to yoga. The other implication of the name Free-for-All is to bring awareness to every sentient being's birthright to happiness and freedom. The name is a reminder for the yogi to be grateful for his or her freedom, and to find it in himself or herself to extend this freedom out to all beings- all humans and all nonhuman animals. Q: Do you accept donations for classes? A: I do not accept donations. However, I encourage you to donate your time or money to organizations that resonate with you. I highly recommend a book called The Life You Can Save by Peter Singer that can help you decide whom to donate to and how much you should donate to help others. Q: How about the energy exchange? A: By taking a class for free, you are in karmic debt to the teacher. To make the energy exchange even, I would like to ask you to pledge at least one vegan meal. This means that for the meal you take right after the free class, do not consume any meat, dairy, eggs, honey and other animal products. If you are wondering why I ask this of you, please watch a short clip called From Farm to Fridge. While I appreciate the thought that goes into gifts and tokens, I have decided not to accept anything at all. I am grateful for your effort- please know that. But if you would like to show appreciation for taking a free class, I would prefer you pledge to have an additional vegan meal or two or three instead and spread the word around about the Free-for-All classes. Q: Are there any do's and don'ts? A: Do keep an open mind. Let me know if you have any past or present injuries that might prevent you from coming into certain poses. Listen to what your body is telling you. Let your breath guide you through the poses. Do not eat 2 hours before class starts. Try not to drink water in the middle of the asana practice to allow your prana or energy to flow. Refrain from taking pictures to respect the privacy of your fellow practitioners. 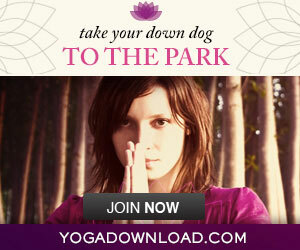 This is a place where yogis can relax, explore, and let go. While we are still working on letting go of our egoic needs, let us minimize distractions. A: Wear comfortable clothes that you can stretch in. Bring your own mat, water in an eco-friendly bottle, a towel, a change of clothes, and maybe some vegan snacks to share after practice. Most importantly, bring your openness and kindness! Do You Know of Underserved Groups Who Can Benefit From Yoga? I would like to teach yoga to individuals who would normally have no access to it such as domestic violence victims, prisoners, or young adults from low-income families. Email me at manilajiva@gmail.com to set up community classes at no cost to students or organizers. Questions? Comments? Want to Go Vegan? Drop me a line!